Create powerful, fast, customized 3D images and 3D models of your geologic data and point cloud data with Voxler. Easily import and combine data in a multitude of file formats to create 3D models that visualize the relationships across your data set. This robust, yet user-friendly application gives you the power to display your data in a variety of formats and colors, model wells and boreholes in 3D, map surfaces in full 3D, capture video animation of your moving model, and select from several image and data export options. "Voxler use in Environmental Consulting"
Price, cooperation with other software - Surfer, MS Excel, Autodesk AutoCAD, presentation options. Sometimes complications with creating model - links between external files. Great and relatively inexpensive software for soil and groundwater contamination modelling and volume calculations. Potential problems are - harder to use than Surfer (need for longer training) and export data for clients using additional (and expensive) software - i.e. PDF3D. Presentation and modelling of soil and groundwater contamination. Easy to recalculate volumes based on "target" guidelines. What Oil and Gas Simulation and Modeling solution do you use? STAR-CCM+ is an all-in-one solution that delivers accurate and efficient multidisciplinary technologies in a single integrated user interface. STAR-CCM+ is a complete multidisciplinary platform for the simulation of products and designs operating under real-world conditions. CHEMCAD is an integrated suite of intuitive chemical process engineering software. It has the power and tremendous range of capabilities to meet an engineer's chemical process simulation needs, from day-to-day challenges to large, multifaceted projects. The new generation in multiphase flow simulation to overcome fluid flow challenges and optimize production. BOAST is a three-dimensional, three-phase black oil applied simulation tool. EXODUS is a Reservoir Simulator for Microsoft Windows. The Studio environment combines engineering and design elements into one standard framework that enables optimized productivity and reduced commissioning time. With the Studio 5000 environment, you can respond more quickly to changing market and business needs, while reducing total costs of ownership, including maintenance and training. Echelon is at reservoir simulator that typically achieves between 10x ' 50x faster runtimes than the leading commercial offerings while retaining the accuracy you expect from legacy simulators. PetroSims, developed by Kea Studios is a creative visualisation solution for the oil and gas industry. It provides multimedia solutions to help achieve your goals, whether it is graphic animation for training purposes or bringing your concept and ideas to life in your sales presentations. EarthVision developed by Dynamic Graphics, offers software for 3D model building, analysis, and visualization, with precise 3D models that can be quickly created and updated. Accurate maps and cross-sections, reservoir characterization, and volumetric analysis are made easy. The INTERSECT high-resolution reservoir simulator goes beyond the capabilities offered by current-generation simulators. 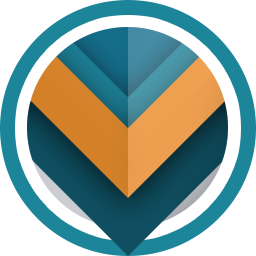 * We monitor all Voxler reviews to prevent fraudulent reviews and keep review quality high. We do not post reviews by company employees or direct competitors. Validated reviews require the user to submit a screenshot of the product containing their user ID, in order to verify a user is an actual user of the product. Hi there! Are you looking to implement a solution like Voxler?